CLICK HERE AND FIND OUT ABOUT OUR VACATION APARTMENTS!! In order to help you find the apartment that meets your needs in Jerusalem, take a moment and complete the form below. If there is a specific apartment that is of interest, please be sure to mention it on the form. We make every effort to respond to your requests within 24 hours. 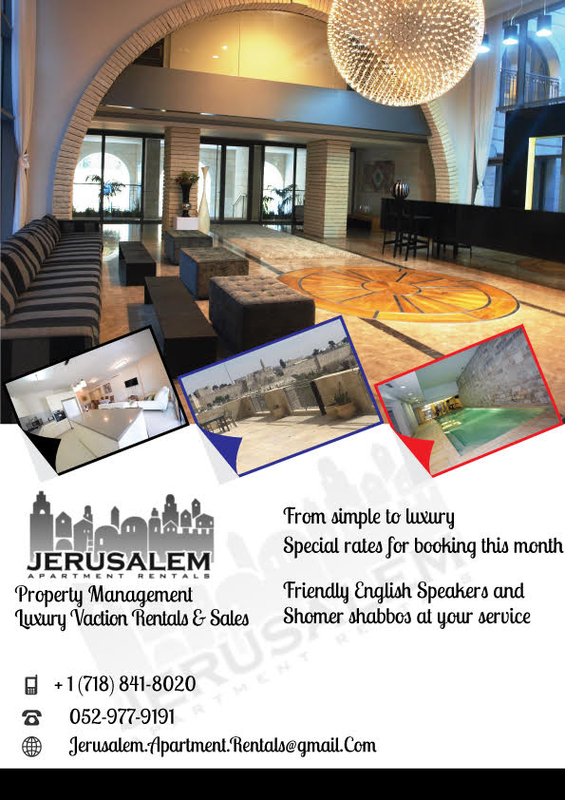 Then JERUSALEM APARTMENT RENTALS will find the best apartment available for your stay.